Our Sliding Sash Windows bring harmony between the old and the new, combing traditional aesthetic with modern innovation. 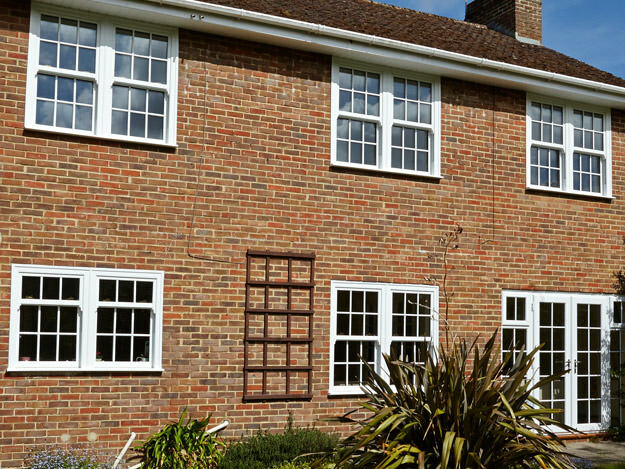 Our contemporary sliding sash windows offer an innovative home improvement solution. They combine all the benefits of modern materials and manufacturing techniques with the aesthetic and functionality of a window design that has been loved for generations, simply offering you more for your home. We utilise a market-leading design to secure an impressive degree of appearance, performance and design. These window designs have been created to offer outstanding quality from the ground up, standing in line with the demands of the modern homeowner to excel in thermal efficiency, security and durability throughout. Achieving a unique standard of quality, we offer the high quality Genesis VS range of sliding sash windows. These windows effectively capture the traditional aesthetic of the classic window design, bringing it into the modern age with a range of cutting-edge features to ensure ease of use and high performance is achieved across the board. The manufacturing process of these windows comprises an intelligent unique joint design to effectively replicate the traditional timber joinery of the original design. Standing as a true timber alternative, these uPVC sliding sash windows have been developed to satisfy the aesthetic requirements of conservation areas and listed buildings. All of our sliding sash windows are fitted with high security, Acorn cam locks and sash buttons to ensure all of the hardware achieves an authentic feel. These locks are intelligently integrated into the window frame to ensure they can’t be exploited by any would-be intruders, minimising security weak spots across the design. Due to modern techniques, all of our sliding sash windows use premium grade uPVC to ensure they maintain their structural integrity. This means that they are able to achieve an impressive degree of inherent robustness and rigidity that enables them to withstand prolonged attacks, allowing you to enjoy peace of mind in a stylish way. Keeping your family and home safe is of the utmost importance to us here at Select Products. To ensure the highest level of security to children in your home, we offer additional restrictors that can be fitted to all our sliding sash windows. These fully prevent the bottom sash from being opened, allowing you to enjoy the traditional style of our elegant windows worry-free. Upgrading the traditional sliding sash window design, the sash window that we offer achieves ‘A’ rated thermal efficiency. This is made possible by an innovative profile design that works to trap in pockets of warm air and notably increase the potential heat retention of your home to ensure you remain comfortable throughout the year. These windows can also be fitted with an impressive ‘tilt’ function that allows you to open the window in a way that allows for easy cleaning. These windows outclass their traditional counterparts when it comes to maintenance, needing minimal upkeep so even the busiest of customers can easily maintain their ‘as new appearance’. All our sliding sash windows are fitted with high performance spring balance mechanisms, designed to smoothly balance the weight of the window during operation. This has been specifically innovated to counteract any weighty slams whilst closing the window, a problem often seen in older sliding sash windows. You can now enjoy the beauty of this classic style without their common problems. All of our sliding sash windows can be decorated in a wide range of high quality colours to effectively capture the perfect aesthetic for you. This means that it doesn’t matter if you are looking for a modern flair, a traditional charm or something in between, we’ll have the right colour to match. It’s never been easier to complement your home. Our options include standard colours, as well as woodgrain and metallic foil finishes. The woodgrain selection allows you to capture the ultimate sliding sash window aesthetic, achieving a wooden look without any of the maintenance setbacks. All the colours that we offer are highly durable, which means they won’t rot, warp or flake over time. Additional decorative options can often make all the difference in seamlessly blending modern window designs into older and historic buildings. With our vast range of additional decorative features such as sash horns and Georgian bars, we are confident you will be able to find the unique combination to complement your home’s existing character. We always strive to ensure your sliding sash windows are installed as quickly as possible, which means you will experience minimal disruption to your daily life. 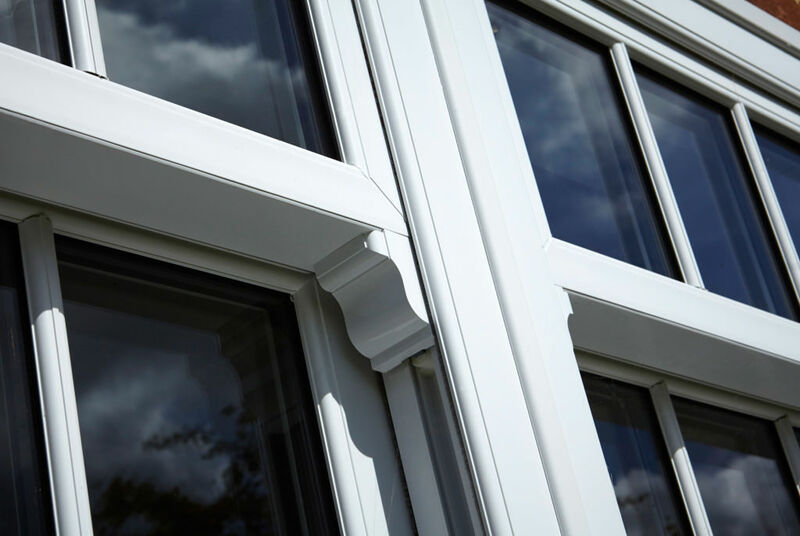 All of the sash windows that we offer are fitted with quick release catches which allows us to speed up the installation process without compromising on quality. Our team of installation experts draw upon a wealth of experience in the industry to ensure we always deliver an exceptional standard. This means that you won’t have to worry about your sliding sash windows performing to an inferior standard. We always strive to ensure you are completely satisfied with your home improvement solution. For an added peace of mind, we include a 10-year manufacturer’s guarantee to all the window options we offer. You can rest easy knowing that whichever style you choose is assured to have unbeatable quality and longevity. 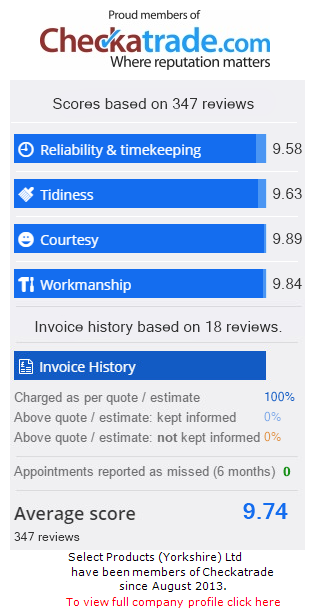 We take customer satisfaction extremely seriously at Select Products and are proud to have achieved numerous excellent reviews on Checkatrade. Visit our online quoting engine today to get a free, instant and competitive sliding sash window price. We offer a simple to follow, step by step process that allows you to get a cost-effective price that has been determined by your own specifications. This means you are sure to get a window to suit you, at a price that suits you too. If you have any questions regarding our sliding sash windows, you can get in touch with us via our online contact form. A member of our professional team will be on hand to answer any question you may have in regards to our sliding sash windows, our products, prices or any of our other high quality, professional services. You can alternatively phone us on: 0113 257 8933.